Inca had two calendars. One was a solar calendar or day time calendar, and the other one was lunar calendar or night time calendar. The day time calendar was based on the solar cycle. They counted approximately 365 days in this calendar. This calendar was used for economic activities such as agriculture, mining, warfare and construction. 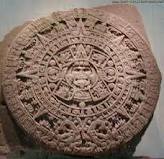 This calendar was very important to Inca people, since they depend on this to fix the days on planting. The lunar is the one used to mark the days of the all festivals. Since this calendar was based on moon it had only 328 days. Which meant twelve months of 27,33 days. Since lunar month is actually 28 days long, so it matches with the lunar months. The Incas used special towers called "time makers" that told them when a new month was beginning. Time makers used the position of the sun to mark the passage of time. The 52 year cycle, sometimes called a Calendar round, was very significant. Commonly elaborate rituals would be held at the end of each calendar round, with all fires extinguished, old pots broken, and a new fire kindled symbolizing a fresh start. 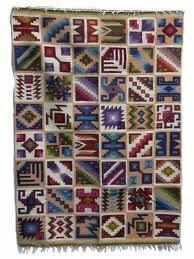 The Inca people that work in the Intiguatas was call Yancas (Inca astronomer); they work in shifts, 24 hours all year. They were responsible of the Inca calendar. Most historians agree that the Incas had a calendar based on the observation of both sun and moon, and their relationships to the stars. Names of 12 lunar months are recorded, as well as their association with festivities of the agricultural cycle; but there is no suggestion of the widespread use of a numerical system for counting time, although a quinary decimal system, with names of numbers at least up to 10,000, was used for other purposes. Mayan scholars have been attempting to correlate the Long Count with our Western Gregorian calendar, since the beginning of this century. There has been massive variation in the suggested correlations, but as early as 1905, Goodman suggested a correlation only 3 days from the most popular one today. Known as the GMT correlation, or "correlation # 584283", this was finalized in 1950, and puts the start of the Great Cycle ( day 0.0.0.0.0) on 11th August 3114 BC, and the end-date (known as 13.0.0.0.0.) as 21st December 2012. 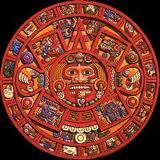 The Mayan calendar is divided into Seven Ages of Man. The fourth epoch ended in August 1987. The Mayan calendar comes to an end on Sunday, December 23, 2012. Only a few people will survive the catastrophe that ensues. In the fifth age, humanity will realize its spiritual destiny. In the sixth age, we will realize God within ourselves, and in the seventh age we will become so spiritual that we will be telepathic.